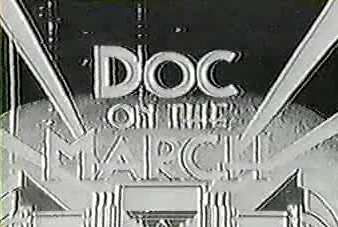 Doc on the March. Time stands still for no man, or so the old saying goes. But there is one man who has time on his side - noted scientist Dr. Emmett Brown, time travel has become not only a reality but an adventursome pastime! Thomas Edison - master of electricity. The inventor of the lightbulb meets the inventor of the flux capacitor. On to Kitty Hawk, North Carolina, where Doc Brown is on hand for the Wright Brothers famous First Flight! Doc Brown: It Works!! Look at That, It Works!! Yahooo! It Flies! Bet that thing would go a lot farther with a hover conversion, eh Doc? 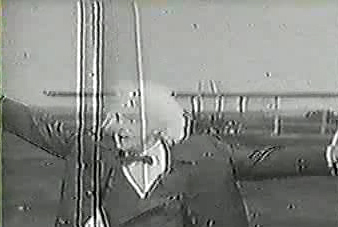 There's Doc rubbing elbows with physicist Albert Einstein, talk about a meeting of Great minds and great hairdos. 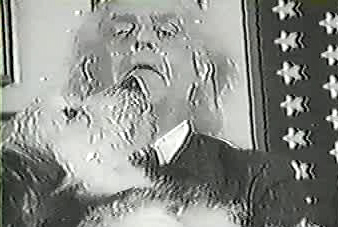 It's no mistake that Doc Brown names his favorite pup after the inventor of the theory of relativity. Where's Doc now? 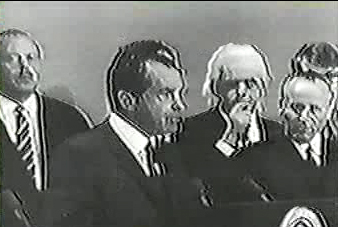 Looks like he dropped in on a speech by Former President Richard Nixon, and boy the Doc looks awfully attentive to alter time, oh well Doc - hindsights always 20/20. Next stop - 1964! And there's excitement in the air as the Beatles make their first US appearance. First up is a press conference to welcome the lovable mop tops to the Good old US of A! 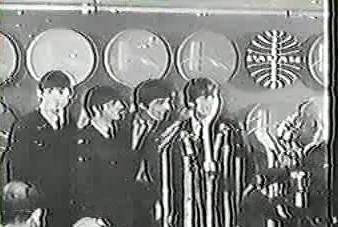 And there they are Paul, Ringo, George, John and Doc Brown. The Ultimate Day Tripper! Doc Brown: Let it be.